Host 99 is pleased to announce a partnership formed with Security Metrics, the leading Internet security and marketing company for small to mid-sized e-commerce businesses. As a valued Host-99 customer, you now have access to Security Metrics's comprehensive PCI Compliance solutions exclusively focused on small-to-medium-sized ecommerce and retail businesses like you. SecurityMetrics is a leading provider and innovator in merchant data security and compliance for businesses worldwide. In 1998, CEO Brad Caldwell recognized the need for affordable data security for the masses after his company's website was hacked. He founded SecurityMetrics in 2000 in a one-room office space with the goal of developing a reasonably priced system to test website security. SecurityMetrics has grown from a small security company specializing in vulnerability assessment scans to a global leader providing merchant data security and compliance solutions. Now, SecurityMetrics is a privately held corporation headquartered in Orem, Utah with over 400 employees. Our mission? To enable businesses to comply with financial, government, and healthcare mandates. One of the most remarkable aspects of our company is its friendly, informative customer service. We have the largest call center in the industry and take over 135,000 calls each month. Since our founding date, we have helped over 1 million organizations, from Fortune 500 businesses and large global financial institutions to small retailers, manage financial, commercial, federal, medical, and security compliance. Payment Card Industry Data Security Standard (PCI DSS) compliance is designed to protect businesses and their customers against payment card theft and fraud. Whether you process payment cards online or in person, SecurityMetrics PCI Focus guides you through PCI requirements to help you avoid data theft. If your business accepts, stores, or transmits card data, PCI DSS compliance is required by card brands such as Visa, MasterCard and Discover. Without direction, PCI compliance can be frustrating for merchants and service providers. Since 2001, SecurityMetrics has developed methods and expert tools that simplify PCI compliance. PCI compliance is not a single event, but an ongoing process. As technology and card processing situations change, SecurityMetrics PCI Focus is designed to help you achieve and maintain PCI compliance. 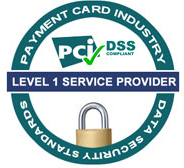 Payment Card Industry (PCI) Data Security Standard (DSS). and Accountability Act (HIPAA) Security Rule. to completely recover and match all merchant IRS TIN. data on business networks through easy-to-use software. Payment Card Industry (PCI) Data Security Standard (DSS) compliance is designed to protect businesses and their customers from credit card theft and fraud. All businesses or service providers that store, process, or transmit payment card data are required to comply with the data standard regardless of business size or the amount of annual payment card transactions. The SecurityMetrics Expert determines what PCI requirements apply to your business. 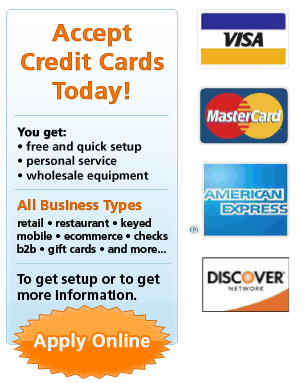 Create a Host 99 account to begin PCI hosting with validation from the World's Largest ASV..